1984 CAMA receives Federal 501(c)(3) status, leases land from CT DEP, Parks & Recreation Division, land cleared and graded for exhibition grounds, well driven, and utilities installed underground. 1985 Creation of first site plan by the Site Committee and the Housatonic Valley Association, and approved by the State. 1985 September 29, first public show on museum grounds. 1986 Cream Hill Agricultural School; planning begun to acquire and move buildings to museum grounds. 1987 Windmill; our first permanent exhibit is acquired, restored, and set up on grounds. 1988 Track laying started for our narrow gauge railroad exhibit. 1988 Construction begins for the Industrial Hall which will house the stationary steam engine exhibits. 1988 Construction begins for the "five bay shed"
1990 For this Fall Festival, for the first time, a large donated boiler is used to supply steam to the exhibits in the Industrial Hall. 1993 Cream Hill Agricultural School is dismantled, moved and reconstructed on museum grounds. 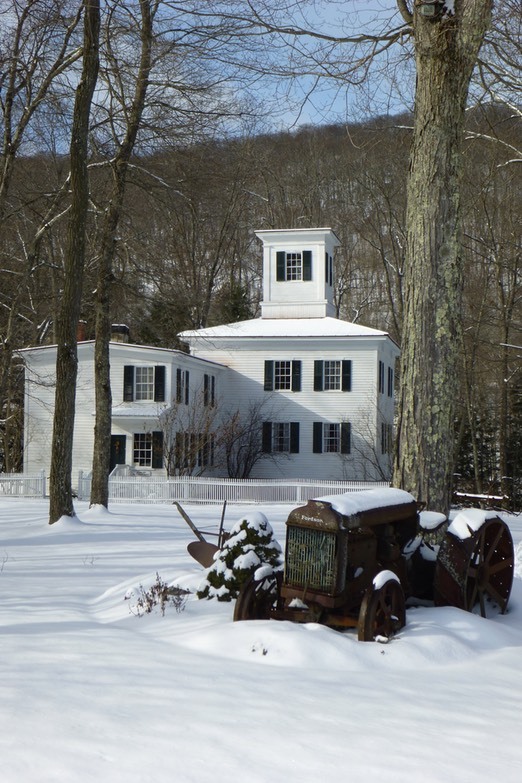 CAMA received an award from the Connecticut Trust for Historic Preservation for this work. 1993 Diebold Agricultural Hall built to house agricultural exhibits. 1995 Oil Field Pump house and oil well exhibit built. 1997 Internal combustion exhibit building erected next to oil field pump house. 1998 Large Internal Combustion Engine exhibit addition to west side of five bay shed. 1999 Picket fence constructed in front of Cream Hill Agricultural School. 2000 Restoration Shop built, with insulation, heat, and machine shop for maintenance and rebuilding of exhibits and equipment. 2000 Hawaii Railway #5, restored operating steam locomotive arrived. 2000 Mining Museum building and exhibits constructed. 2001 H. Malerbo Engine House built and track laid for storage of railroad equipment. 2001 Boiler house added to Industrial Hall, for our new modern, fully automatic, 200HP York Shipley Boiler. 2002 Herb Garden at Cream Hill Agricultural School redone and maintained by the Kent Garden Club. 2003 Interior of Industrial Hall finished and trimmed out to look like Victorian engine room. Concrete flooring completed around exhibits. 2003 Upgrading of electric power to complex from single phase service to three phase. Distribution of power in museum also upgraded to three phase. 2004 Expansion to the Industrial Hall begun. 2004 Small Engine Exhibit completed in the Diebold Agricultural Hall. 2004 New Welcome Center building added. 2005 Expansion to Industrial Hall completed. 2005 Expansion to the CT Museum of Mining and Mineral Science begun. 2005 Blacksmith exhibit added to 5 Bay. 2005 Wireless sound system installed in the Industrial Hall. 2006 CT Museum of Mining and Mineral Science expansion completed. 2006 Permanent picnic pavilion shelter is built. 2006 Nagle-Corliss steam engine retrieved from mill in New Windsor, NY and brought to Kent. 2007 Construction of Blacksmith Shop Exhibit begun. 2009 CAMA celebrates its 25th anniversary with a special 3 day Fall Festival. 2009 Casey property purchase is concluded. 2010 CAMA purchases Hawaii Railway Co. locomotive #5 from Dr. Richard May. 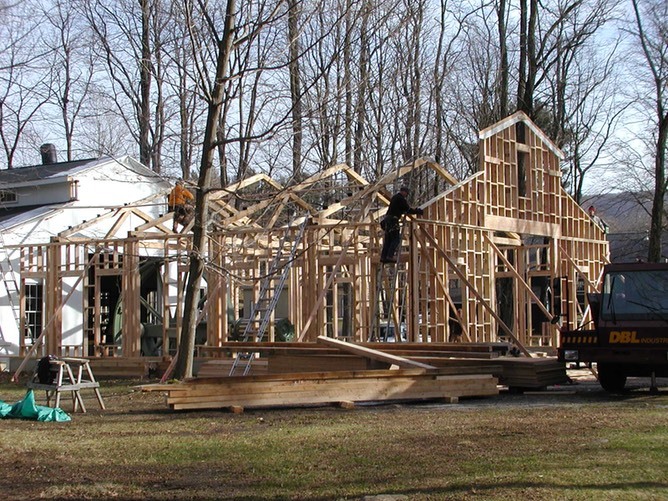 2010 CAMA begins construction of the American #1 sawmill shelter. 2011 Dedicated sawmill shelter is completed.